Looking for a fun way to spend your Saturday afternoon? 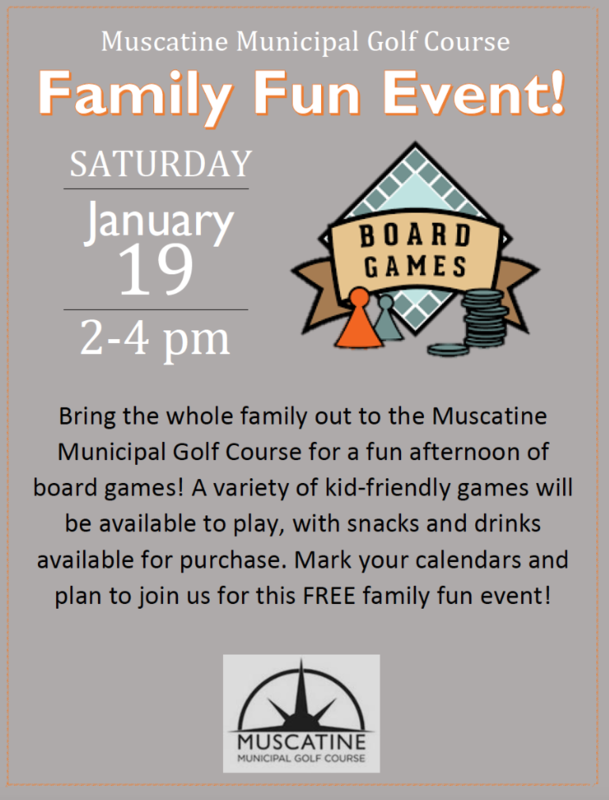 Stop out to the Muscatine Municipal Golf Course on January 19 from 2:00 – 4:00 pm for our Board Game Family Fun Event! There will be plenty of different card and board games to choose from, so bring the whole family!